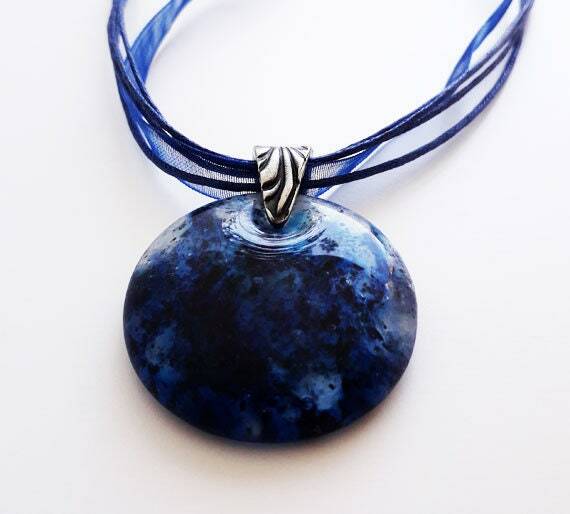 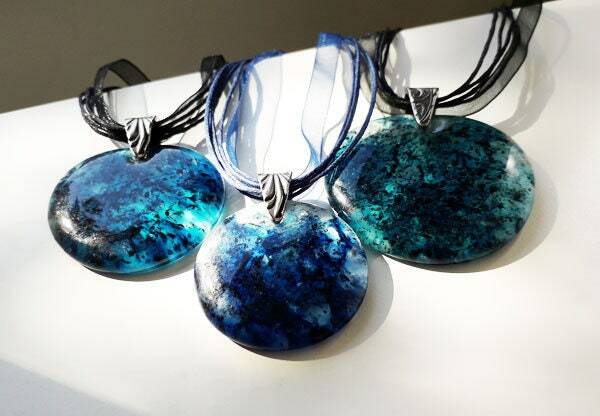 Cast glass pendant, dark blue, clear and black glass on silver. 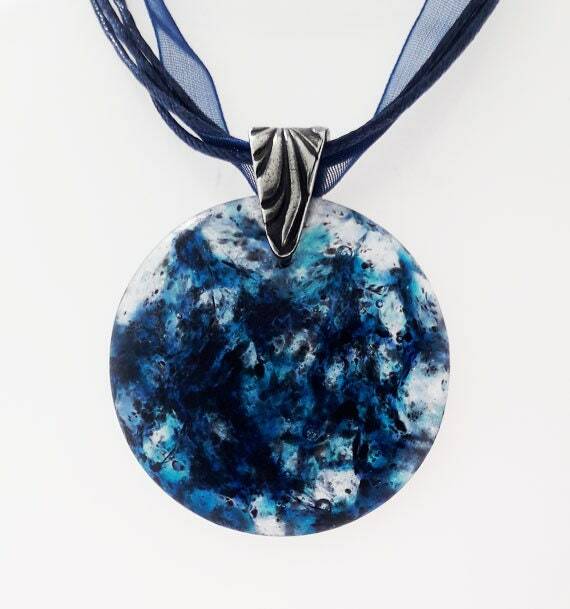 This is a medium sized cast glass pendant, about 35mm diameter, made from a mix of offcuts and crushed up glass. 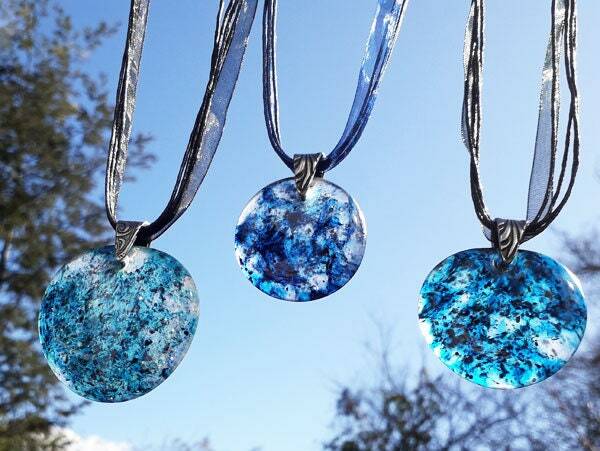 It's mainly transparent, mostly clear glass with dark royal blue and lighter turquoise blue elements, and tiny black speckles. 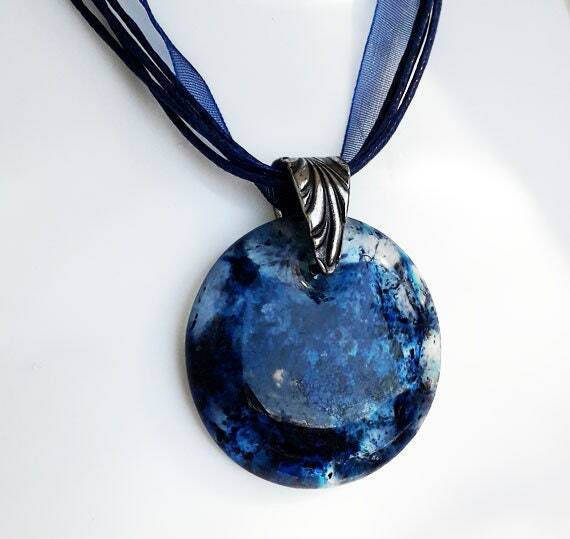 It's a really lovely mix of rich colours. 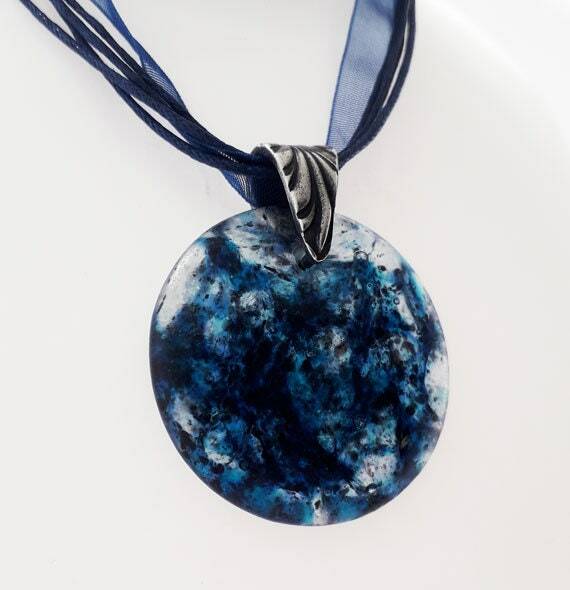 It hangs from an antique silver style bail, on a dark blue string and ribbon necklace.